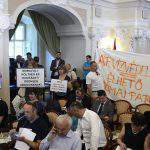 Opposition parties on Tuesday spoke out against reported plans by the government to do away with Hungary’s local councils after the spring election. Gergely Karácsony, the PM candidate of Párbeszéd and the Socialist Party, told a press conference that he had personally seen proposals for the abolishment of Budapest‘s districts. 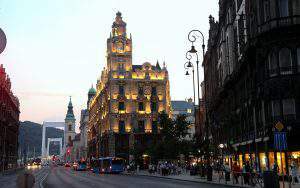 Karácsony said Budapest Mayor István Tarlós himself had confirmed the existence of such plans. He said one of the things at stake in the upcoming general election would be the right of voters to elect their local leaders. 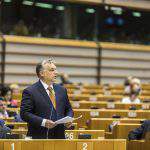 Citing recent reports, Karácsony said citizens could lose this right after the election. Karácsony said. “But it looks like Fidesz wants to deal the final blow to the local council system after the election,” he added. 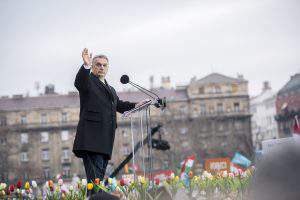 Liberal Party leader Gábor Fodor told the same press conference that according to recent press reports, ruling Fidesz was preparing to strip local councils of their autonomy and have them be controlled by the government. Gyula Molnár, leader of the Socialist Party, called on Fidesz to reveal what it plans to do with local governments if it wins re-election. 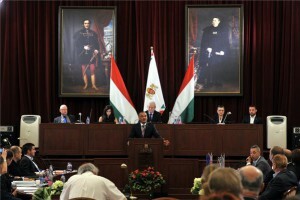 Fidesz responded by saying that the opposition parties were “speaking nonsense”. “Nothing from what the opposition said today is true, and saying it was a waste of time,” the ruling party said.